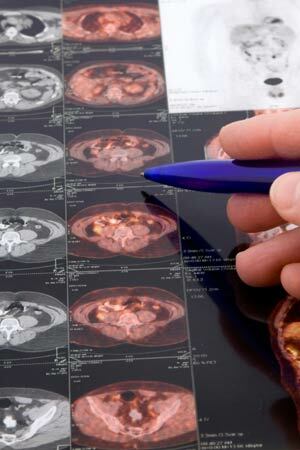 A CT scan can help point to the abnormality and help the doctor come to an accurate diagnosis. The doctor may also test your stool for the presence of blood, though this test must not be solely considered as a key to the confirmed diagnosis of colorectal cancer. If the cancer has spread to other parts of the body, you may have to take a biopsy of the area. In a biopsy, a small piece of tissue is taken and then examined in the laboratory. Once the cancer has been diagnosed, a complete physical examination will be done and the X-ray of the chest taken to see if the cancer has spread to other parts of the body. Blood tests may be recommended to check the level of carcinoembryonic antigen. This substance is usually higher than normal in people who have colorectal cancer. Blood tests may also be done to check how the liver is functioning because the colorectal cancer usually spreads to the liver.